Active transportation gets people to the places they want/need to go in a healthy and sustainable way. It also connects people to their communities and each other. Helping communities plan and build transportation networks that make it easier for people to make these connections is what I find most rewarding about working at Alta. Nothing beats seeing someone riding a bicycle on a path I helped plan or or walking in a community where we have worked and knowing that I played a role in helping those activities happen. 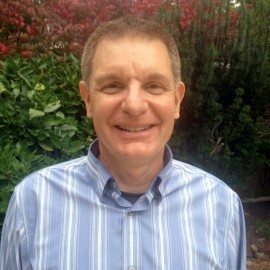 Charlie Denney has 20 years experience in bicycle and pedestrian planning, design and program management. The majority of his recent work has been in the Mid-Atlantic and the southeast, including, the Bicycle Master Plan for Richmond, Virginia, a bike parking study for the District of Columbia, and launch and operation of Capital Bikeshare, and a feasibility study for the Beaches to Bluegrass Trail in across southern Virginia. Prior to joining Alta he served as the Bicycle and Pedestrian Program Manager for Arlington County, Virginia overseeing the installation of 23 miles of new bike lanes and management of over 50 bikeway and pedestrian improvement projects. He has a Master of Urban and Environmental Planning from the University of Virginia and a Bachelors degree in Recreation Management from the University of Vermont.